For years now, Caribbean High Commissioners, activists, church organisations and community oriented Caribbean companies have been raising with the British government and parliamentarians the shocking way in which undocumented members of the Caribbean Diaspora who came to Britain between 1948 and 1971 have been treated. This has involved in the absence of proof of citizenship, the British authorities denying individuals of Caribbean origin medical care and pensions, and in some cases holding them in custody pending deportation. This was despite their demonstrable contribution to British society and life-long residence in Britain. However, an interview on the BBC’s morning domestic radio news programme ‘Today’, which is said to shape Britain’s national political dialogue, changed all of that. The High Commissioner for Barbados, Guy Hewitt, in an impassioned and personal series of comments spoke movingly about the plight and suffering of many members of the Windrush generation and their experience of a form of persecution by the British authorities. In what must be an all-time first for a Caribbean diplomat, he turned the issue into a front-page story for a week in every single British newspaper and made the appalling treatment of possibly thousands of individuals in the Caribbean Diaspora in Britain the lead item on every radio and television news programme. The story that he told not only touched emotionally huge numbers of British people but demonstrated the profoundly wrong ways in which a group of individuals of Caribbean origin have been treated in a manner best described as Kafkaesque. In doing so, he turned their personal experience into a national political issue reaching to the highest levels of government. As the week went on the media carried heart rending interviews with ordinary members of the Windrush generation whose proof of residence had been lost by officials, who had been denied medical treatment, and who had been told they would be deported to a country, Jamaica, where they knew no one and had not been since early childhood. It was a story that has dominated UK consciousness, causing politicians in both political parties and in particular the British Prime Minister who was Home Office Minister (interior ministry) at the time that the UK’s ‘hostile environment’ policy on undocumented migrants was ordered, to run for cover. What was then said was often equally shocking, demonstrating a lack of understanding among leading politicians of the personal implications of agreeing to policies that touch some of those in society least able to defend themselves. Because the issue arose in the week in which the Commonwealth Heads of Government meeting (CHOGM) was being held in London the issue had focus. The presence of Jamaica’s Prime Minister, Andrew Holness and others, enabled the message to be amplified and for the region to insist on a meeting with the British Prime Minister, Theresa May. In the past during CHOGM this had always been the case, but it seems that Downing Street officials, regarding the Caribbean as being of little political consequence and then tone-deaf tone deaf to what was unfolding, had to rapidly reverse their position and indicate that Mrs May would meet with CARICOM Prime Ministers. Since then, apologies have been issued and a special unit has been set up in the Home Office to address the issue of the Windrush generation of undocumented migrants living in Britain. Despite this it is widely believed on the street that some older residents of Caribbean origin have been deported. It is a story that will continue to run and one which Caribbean Governments and the Diaspora will need to ensure continues to hold British public attention. In part it may do so because it has resonance with what happens after Brexit. Then as many as three million EU citizens living in the UK, in something close to a rerun of what happened when the countries of the Caribbean went to independence, will need to register if they too are not to fall foul of the UK ‘hostile environment’ approach which for example requires landlords, employers and public services to require proof of residence. What is significant about the events of the last week in the UK is that it demonstrated how a confluence of timing, events and a willingness to speak out can bring about change. Other than the issue of re-banding the UK’s Air Passenger Duty, largely a symbolic win for the region in 2014, the Caribbean and its diaspora has struggled to be taken notice of politically in London. Uniquely, however, all of this was taking place as Commonwealth leaders were gathering in London for their biennial summit; one at which Britain was hoping to re-engage with the Commonwealth, deepening friendships and shared values and as the advocates of Brexit hope, enabling new trade deals to be struck. Notwithstanding, the headlines in the days before the summit suggested the opposite, that the UK was rejecting some of those from the Caribbean generation that had demonstrably provided the greatest contribution to the UK’s post second world war recovery. While the British Government may now be moving more generally to redefine its approach to immigration in ways that speak to its benefits, it will have to do much more to demonstrate that it has shed its past belief in aggressively reducing migrant numbers by picking on those who are least able to defend themselves. In an indication that the events of the last week may have hit home, the government’s Environment Secretary, Michael Gove, a potential contender for the future leadership of Britain’s Conservative Party, told the media that government had to be more positive about the vital contribution of immigration to the economy and public services, while encouraging the adoption of technology in UK industries such as agriculture which suffering from a shortage of EU migrant labour. 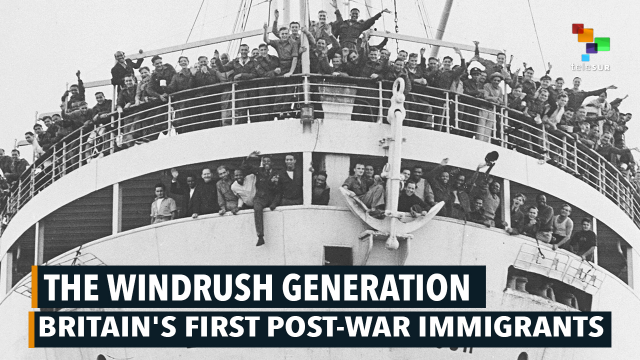 In speaking out, the Caribbean has not only helped the Windrush generation and made Britain more aware of its colonial past, it has caused the UK government to begin to recognise that a hostile environment for migrants is unacceptable.